Clean coal. For years it was tied to ‘carbon capture and storage’. But that is no longer seriously considered as an option (unless you count BECCS, which, um, is just another fantasy technology). Before CCS, it was all about increased efficiency of coal fired power stations (sound familiar, reader in 2017?). According to the Daily Telegraph, Bob Carr opened the Ian Stewart Wing of the chemical engineering laboratories at Newcastle University were opened on this day in 1998. Anon. 1998. 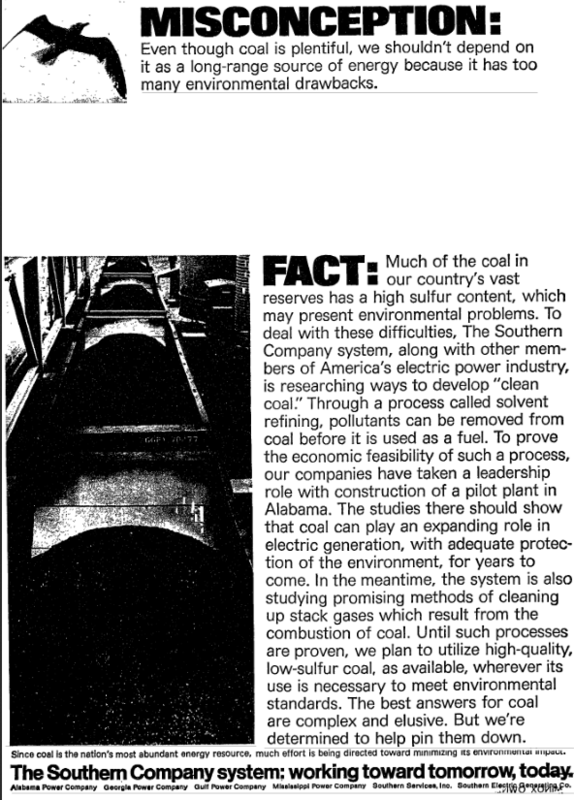 Tests for green coal. Daily Telegraph, 26 February. Parkinson, G. 2014. Plimer leads IPA fund-raising push for new climate denial book. Reneweconomy, 26 February. Leading climate change denier Professor Ian Plimer is leading a new fund-raising campaign from Prime Minister Tony Abbott’s favourite conservative think-tank, the Institute of Public Affairs, to raise money for a new book attacking climate science, carbon pricing and renewable energy targets…. Maclellan, N. 2016. Defence White Paper fails on climate change. Lowy Interpreter, 26 February…..
On this day ten years ago, the state governments of Australia basically told John Howard ‘ lead on climate change or we will’ (insofar as an emissions trading scheme is leadership….). Since 2001 Bob Carr (at the time premier of New South Wales) had been trying to get the Federal Government to introduce an emissions trading scheme. From 2004 a state-governments supported ‘National Emissions Trading Taskforce’ had been at work. Prime Minister Howard had remained opposed until suddenly overwhelmed by political pressure, and in November 2006 he had back-flipped and started a Federal process. (‘the Shergold report). But the NETT process rumbled on, and at the second meeting of Council for the Australian Federation (all the state governments meeting without the Federales) is was agreed to press Howard to introduce an emissions trading scheme based on Shergold and to warn him that if the Commonwealth didn’t bring in a scheme, the states would, by the end of 2010. “All I’ve ever been concerned about is to make certain that we don’t abandon a commonsense approach about developing clean coal technology, because of Queensland’s coal reserves and out of that we will get zero emissions. (Taylor, J. 2007. Premiers meeting over carbon trading scheme Premiers to sign climate declaration. ABC, 9 February. It was at this meeting that it was agreed to they would ask Ross Garnaut to go to work on a further study of climate change impacts on the Australian economy and how a trading scheme would ‘fit’ internationally. (Garnaut started work in April, having been asked by then Queensland Premier Anna Bligh and then opposition leader Kevin Rudd.